He’s been being a cartoonist since 1978. 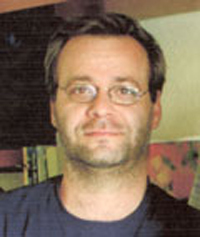 In 1991 he graduated in Fine Arts, Department of Graphics. His cartoons were published in many albums. He is a participant of a many exhibitions. An art director of an advertising company.